From the Ellaura Embrace Collection, this dazzling diamond ring guard adds sparkle to your engagement ring with each side of the guard boasting a curved row of brilliant round diamonds. 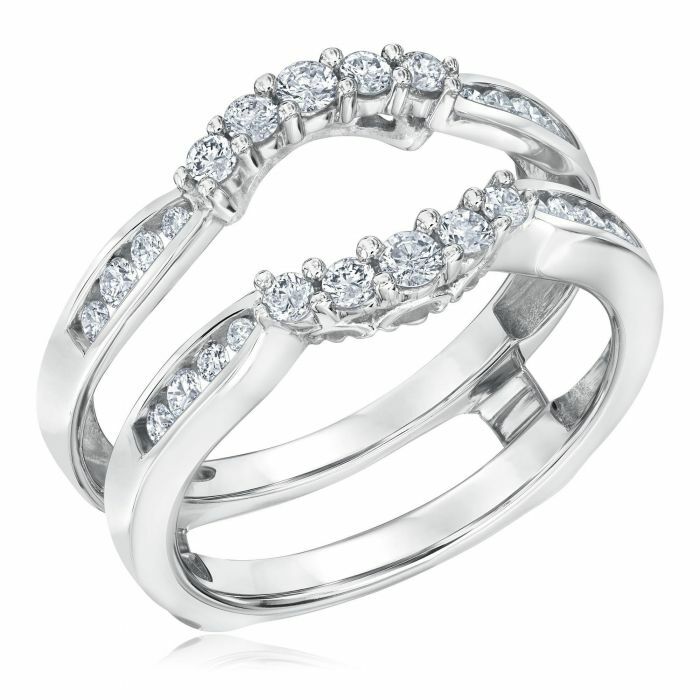 Crafted from 14k white gold, this ring measures 10mm across the top and 7.5mm across the bottom. Diamonds are 1/2ctw, I or better in color, and I2 or better in clarity.